Disclosure: This shop has been compensated by Collective Bias, Inc. and its advertiser. All opinions are mine alone. 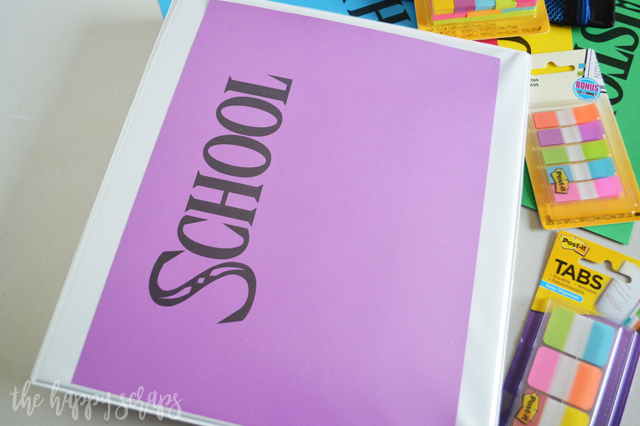 #BackToSchoolGoals18 #CollectiveBias Follow along to create this Simple Organization Binder for High School Students. When I decided it was time to start doing some back-to-school shopping, I of course headed to Walmart. As the mother of five, I shop at Walmart quite often. I love that I can find nearly everything I need there. 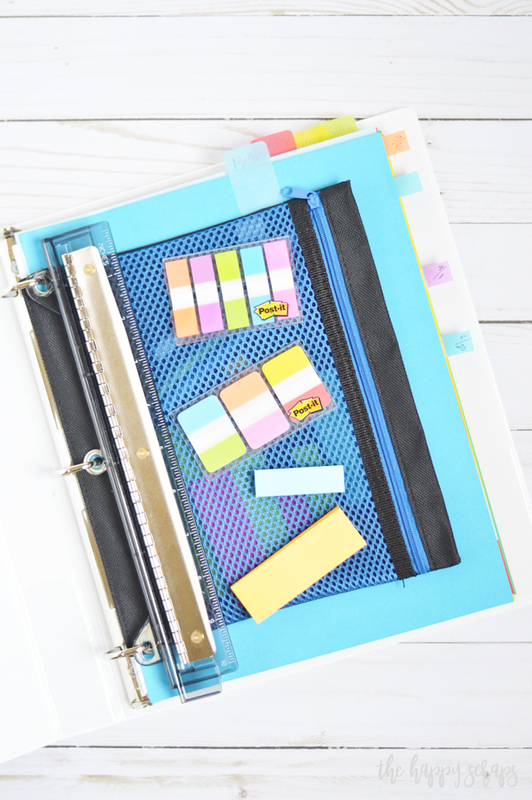 When I knew I wanted to put together this Simple Organization Binder for my soon to be high school student, I knew Walmart would have the supplies I needed, including a variety of Post-it Notes. I found a wide selection right inside the doors in the back-to-school area. 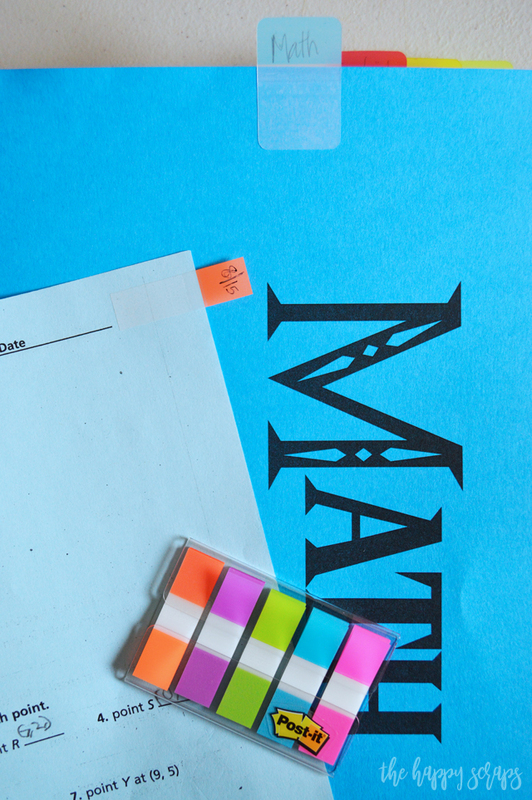 Once I had all of my supplies together, I quickly typed out the class names and school for the cover of the binder, then printed them on the different colors of cardstock. I slipped the cover into the cover slot of the binder. I put notebook paper, the pencil pouch, and the binder hole punch into the binder. 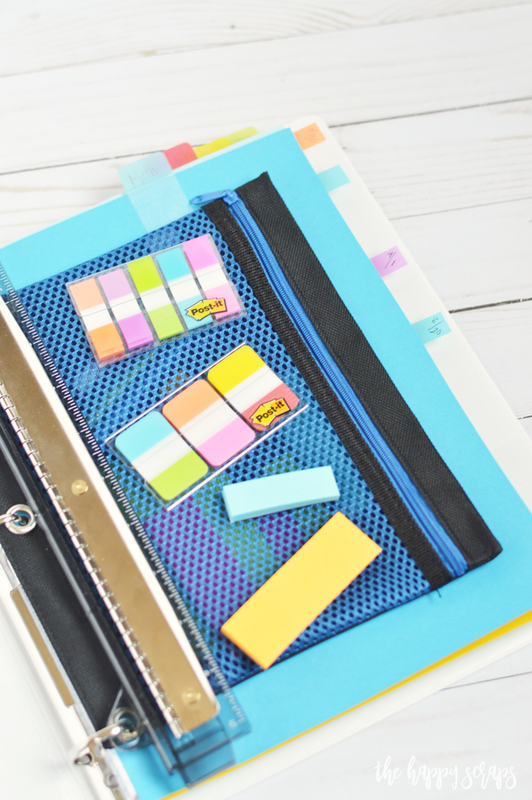 This pencil pouch is great for pencils, but even better, this is where the Post-it Notes Flags and Tabs live. 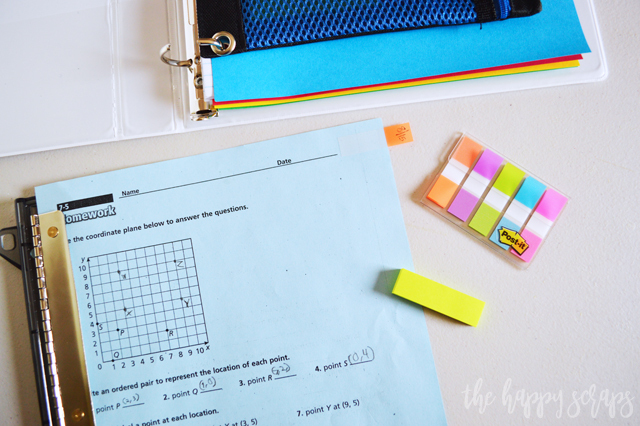 Close at hand for anytime your student will need them. I opened all of the packages and placed them into the zipper pouch. 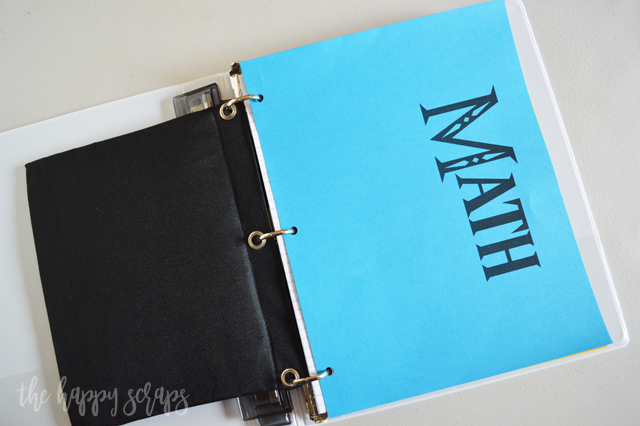 I hole punched the divider pages for the different classes, then inserted them into the binder. Once I had them in place, I used the Post-it Note Tabs to create the tabs for the different classes. 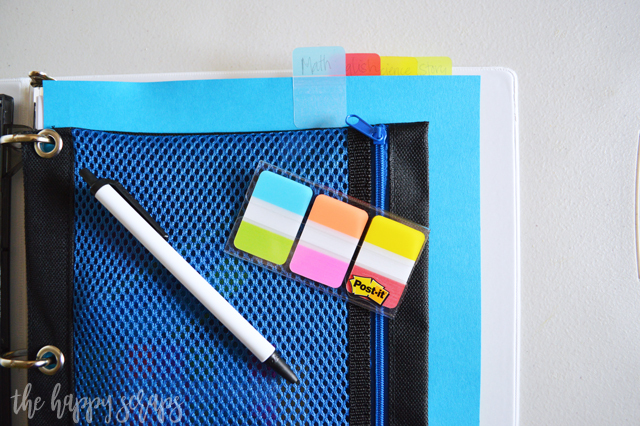 Side Note: Have you guys ever used these Post-it Notes Flags and Tabs with the easy dispenser? I love them! They pop up so nicely when you pull on them! 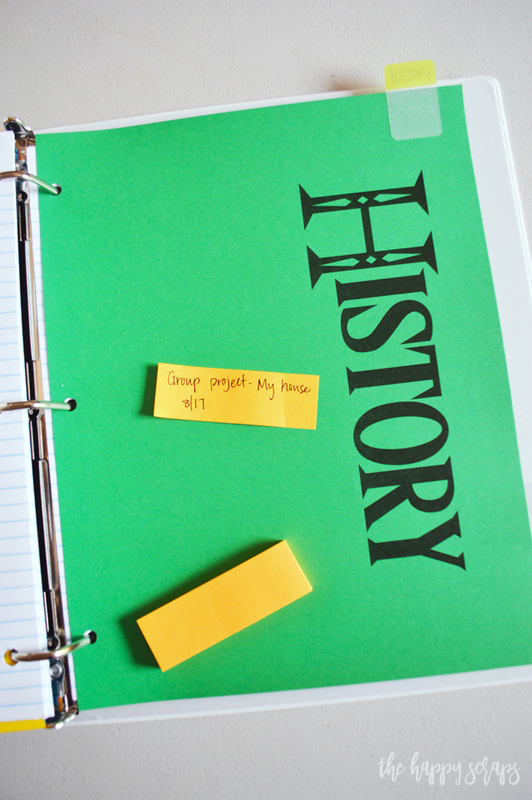 The idea with having the different section and hole punch right in the binder is that my son can put his unfinished homework right in the binder. He can grab the little easy dispenser of the Post-it Notes Flags and place it on the side of his papers and quickly write down when it is due so he doesn’t forget. Then it’s ready to be put in the binder. All he needs to do is punch holes and place it into his binder in the section it needs to be in. If he’s in a really big hurry, he can slide the paper into the pocket at the front of the binder and punch it when he has a minute to do it. As I mentioned above, I am always reaching for Post-it Notes, so I wanted to make sure he has some to write down quick notes, goals, reminders, and ideas on to help them stick with him. Plus, goals are 42% more likely to stick when they’ve been written down. 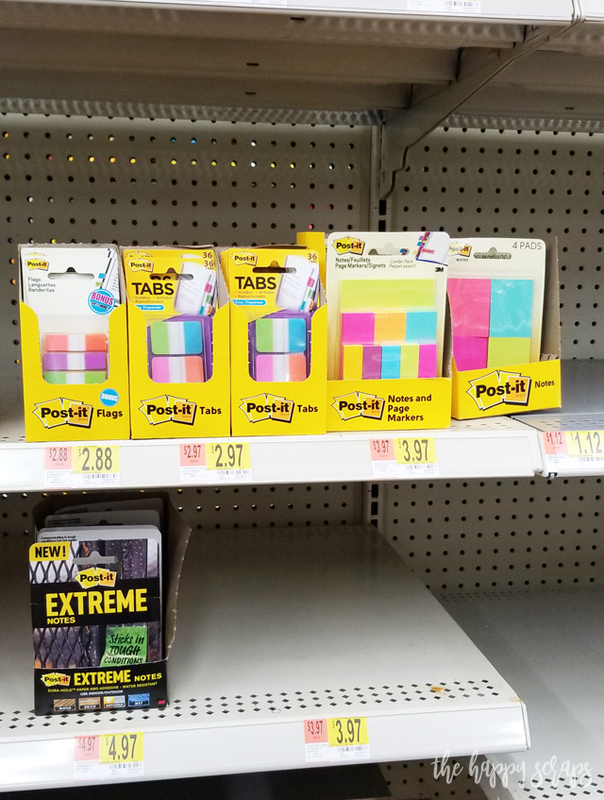 I love stocking up on these at back-to-school time because I can get them for a great deal at Walmart and we always use them at our house. There is plenty of space on the front and back of each divider page for him to place the Post-it Notes as well. So he will hopefully remember the things he needs to do. After watching him struggle for the last year or so with keeping track of assignments and remembering things, I’m very hopeful that this is going to work for him, and he’s hoping it will to! I love that he can keep his Post-it Notes close at hand and won’t have to search for them because they are right in the zipper pocket. 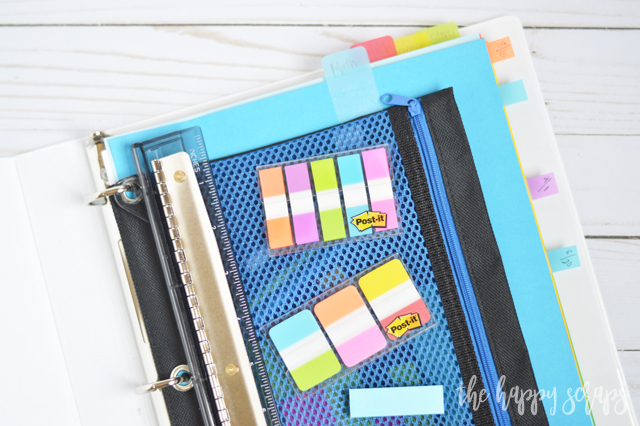 He’ll have the Post-it Note Flags for writing down due dates and the larger Post-it Notes for writing down anything else that he doesn’t want to forget. I also like that you can find all of them at Walmart! What kind of Post-it Notes are your favorite? I love the standard size, but I love that you can find a variety of sizes as well! 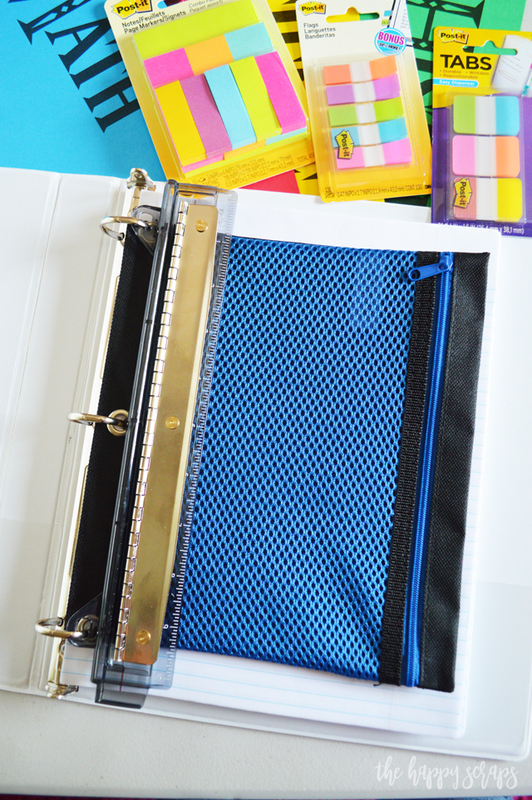 This Simple Organization Binder uses a variety of sizes so they aren’t going to waste either. They can grab the size they need! 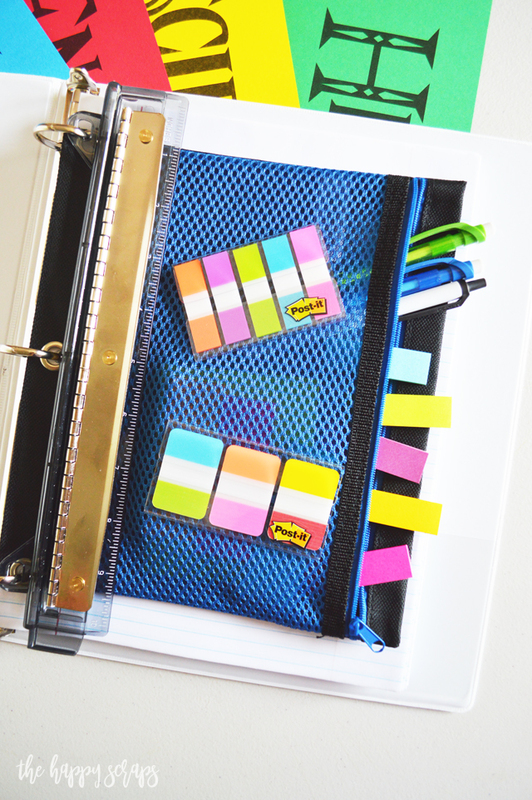 Not only do Post-it Notes help keep you and your students organized, but they also make great teacher gifts that are quick and easy to put together as well. You can see some I’ve put together before here and here. 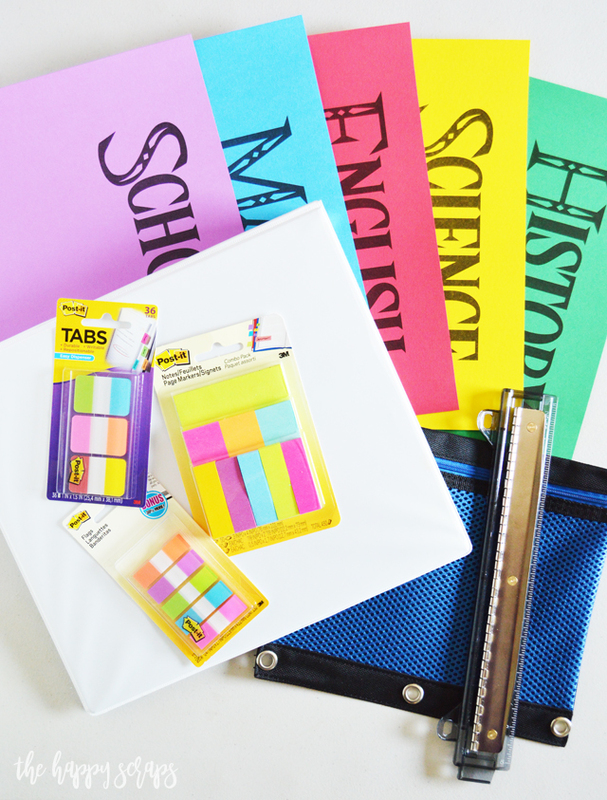 Be sure to check out the Create with 3M page to find more back-to-school ideas!